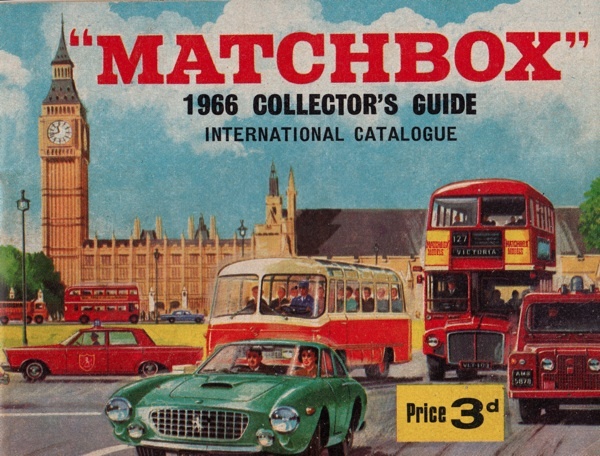 Continuing my series of the great hardware and trade catalogues of the East End, it is my pleasure to publish the Matchbox 1966 Collector’s Guide & International Catalogue by Lesney Products & Co Ltd of Hackney Wick (courtesy of Libby Hall). The company was founded by Leslie & Rodney Smith in 1947 , closed in 1982 and the Lesney factory was demolished in 2010. It all began in 1953, with a miniature diecast model of the Coronation Coach with its team of eight horses. 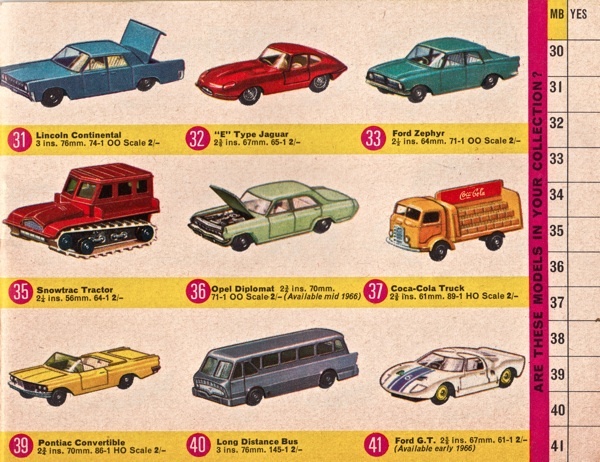 In Coronation year, over a million were sold and this tremendous success was followed by the introduction of the first miniature vehicle models packed in matchboxes. 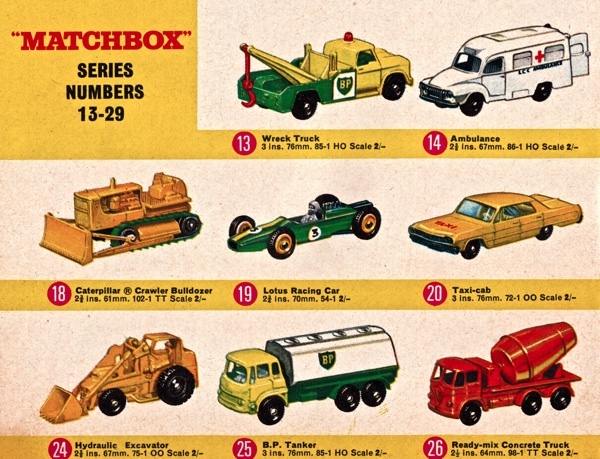 And so the famous Matchbox Series was born. 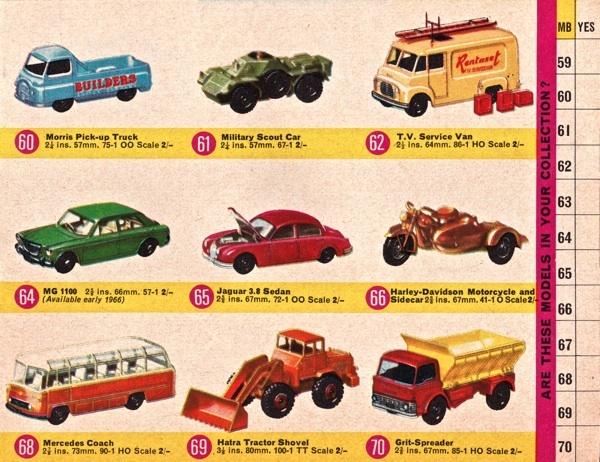 More than five hundred million Matchbox models have been made since the series was first introduced during 1953, and today over two million Matchbox models are made every week. 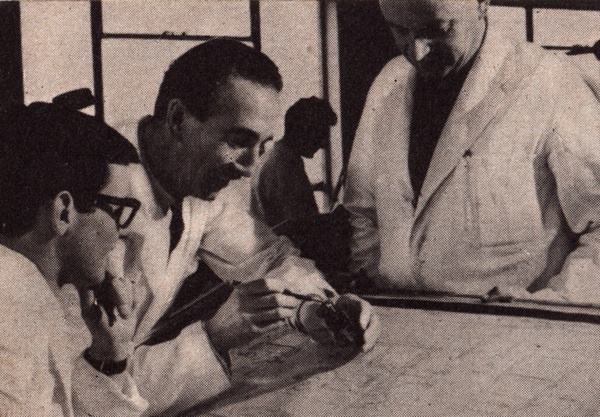 The life of a new model begins at a design meeting attended by Lesney senior executives. 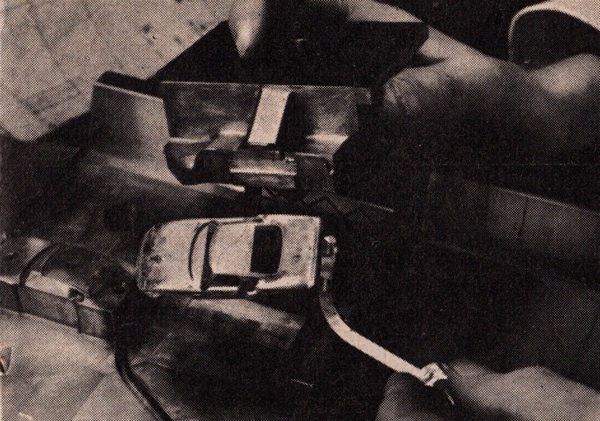 The suitability of a particular vehicle as a Matchbox model is discussed and the manufacturer of the full-sized car is approached for photographs, drawings and other information. 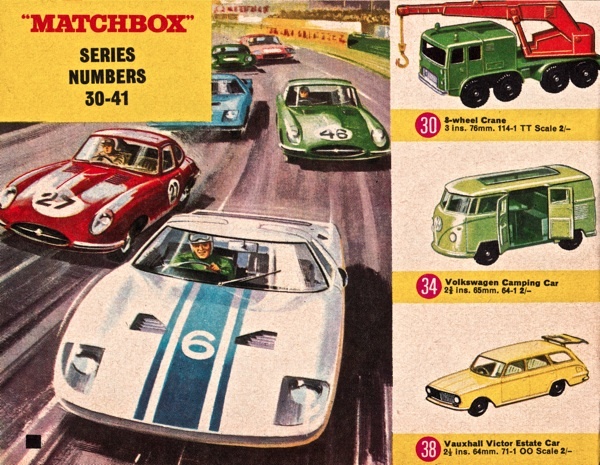 Enthusiastic support is received from manufacturers throughout the world and many top secret, exciting new cars are on the Matchbox drawings boards long before they are launched to the world markets. 1. 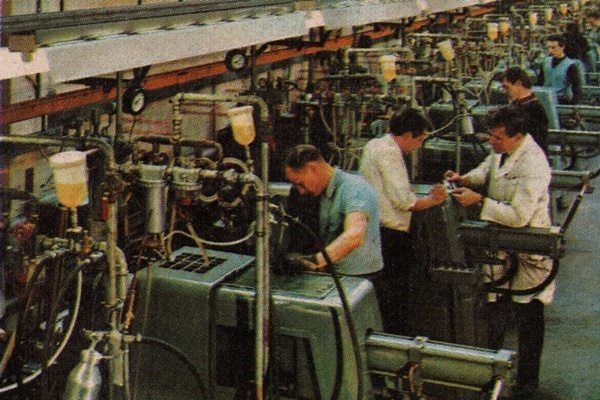 Once the details of the full-size vehicle have been obtained, many hours of careful work are required in the main drawing office in Hackney. 2. 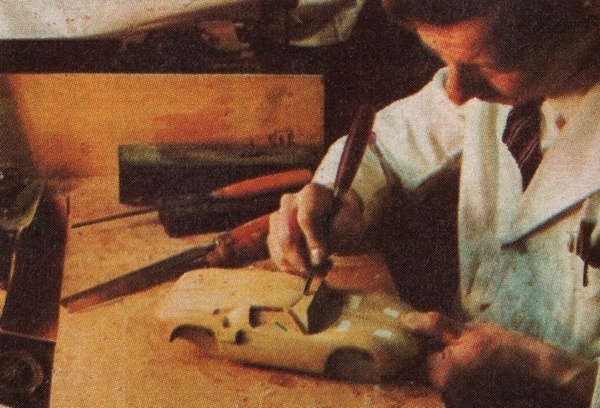 In the pattern shop, highly specialised craftsmen carve large wooden models which form the basic shape from which the miniature will eventually be diecast in millions. 3. Over a hundred skilled toolmakers are employed making the moulds for Matchbox models from the finest grade of chrome-vinadium steel. 4. There are more than one hundred and fifty automatic diecasting machines at Hackney and all have been designed, built and installed by Lesney engineers. 5. The spray shop uses nearly two thousand gallons of lead-free paint every week, and over two and a half million parts can be stove-enamelled every day. 6. 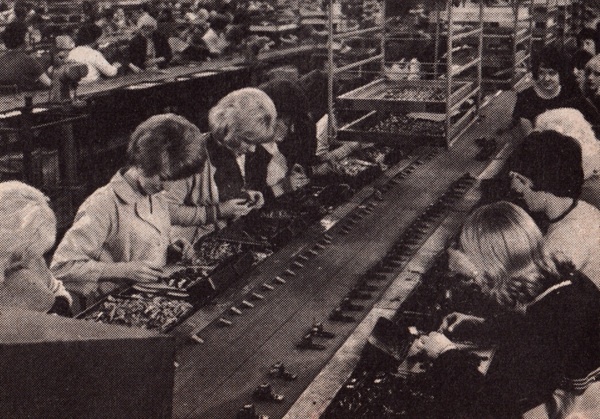 Final assembly takes place over twenty lines, and sometimes several different models and their components come down each line at the same time. 7. Ingenious packing machines pick up the flat boxes, shape them and seal the model at the rate of more than one hundred and twenty items per minute. 8. Ultra-modern, automatic handling and automatic conveyor systems speed the finished models to the transit stores where electronic selection equipment routes each package. 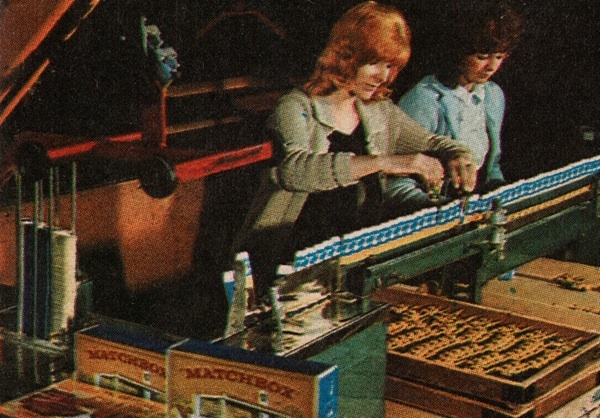 From the highly individual, skilled worker or the enthusiast who produces hand-made samples of new ideas, to the multi-million mass assembly of the finished models by hundreds of workers, this is the remarkable story of Matchbox models. Over three thousand six hundred people play their part in a great team with the highest score in the world – over a hundred million models made and sold per year. 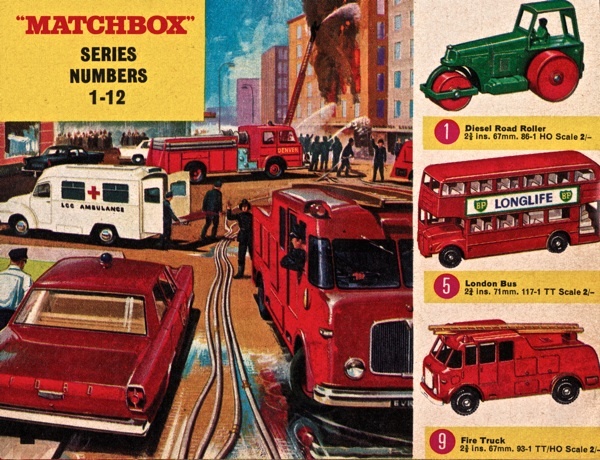 Enthusiasts of all ages throughout the world collect and enjoy Matchbox models today and it is a true but amazing fact that if all the models from a year’s work in the Lesney factories were placed nose to tail they would stretch from London to Mexico City – a distance of over six thousand miles! Oooh, I had one of those Coronation coaches. That’s all though. 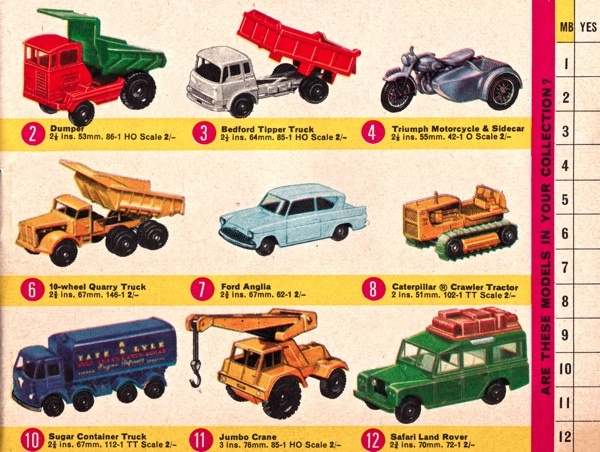 Being a girl, I wanted none of those pesky cars. 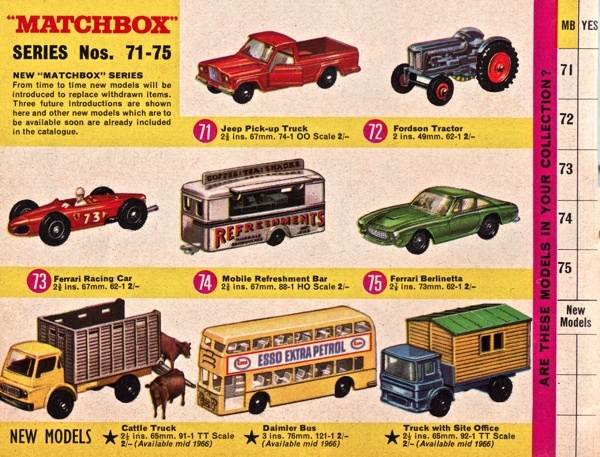 Seeing that catalogue brought my childhood flooding back – I loved matchbox cars and my own children still have some of the ones that I owned as a child so they were obviously made to last. 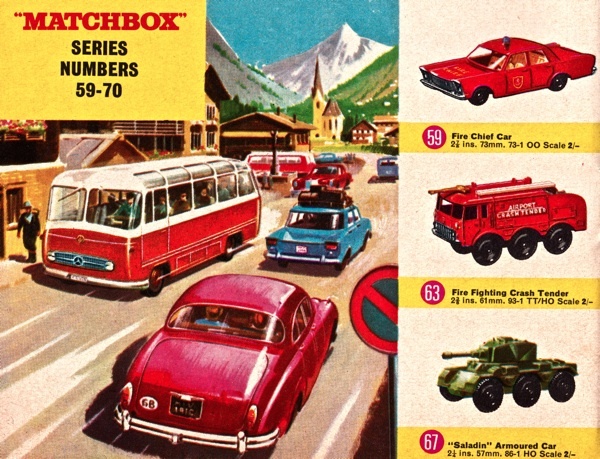 I remember the first Matchbox cars. 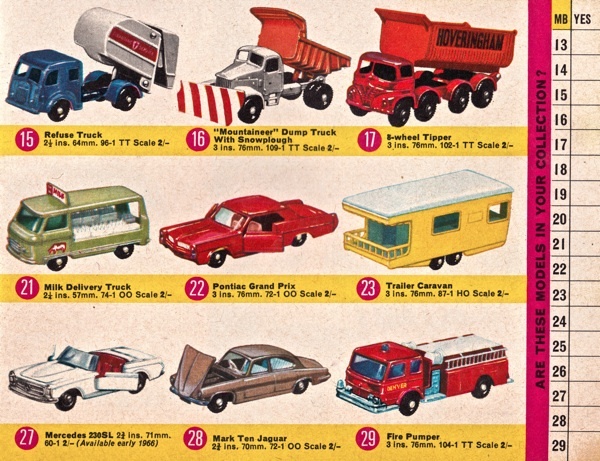 I was five and I wasn’t impressed – they were just small versions of Dinky toys and I had a few of those. The first ones were just metal shells. 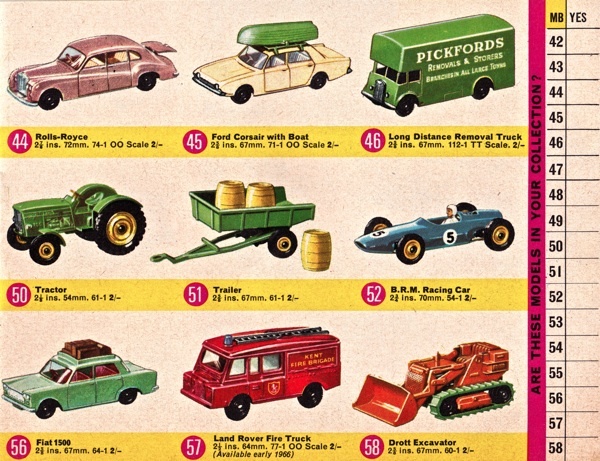 By the time of this catalogue they had plastic inserts (the milk float), plastic windows and opening doors and bonnets. I remember being peeved that they didn’t have them when I was younger. But in any case I had moved on to Hornby Dublo! My dad had a best friend who use to work there and he said they made so much cars that the staff could go and take some for free to give to their kids. He also said it was a great company to work for and how sad he was when it closed down. 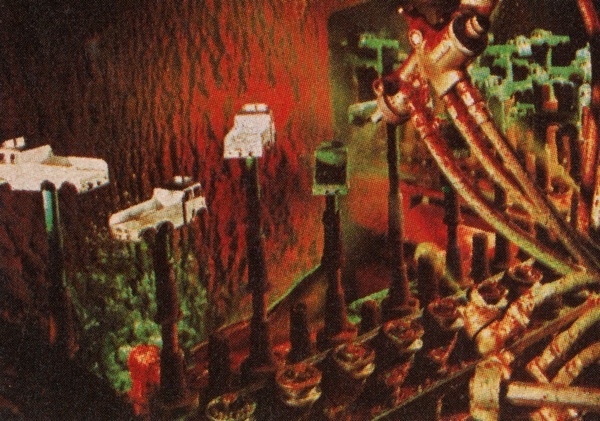 Careers advice at my old school was pretty much just a trip to the Lesney Factory. It was like we didn’t even have a hope of working at a proper car plant. We had to make do with a pretend one. And at the end, when we left, they gave us cars with globby paint or bent and buckled wheels to take home as souveniers. Great post… Brought back many happy memories. My husband keeps an ancient beat up biscuit tin on top of a filing cabinet in our office. Inside it are old West Ham United programmes, things like Queen’s Silver Jubilee coins from 1977 (think there may be a Churchill one as well) and …………..Matchbox and Dinky Toys, some of them chipped and with bits missing! He fishes through the tin when he thinks I’m not looking, it’s his treasure trove Nothing of intrinsic value but a whole lot of pleasure. 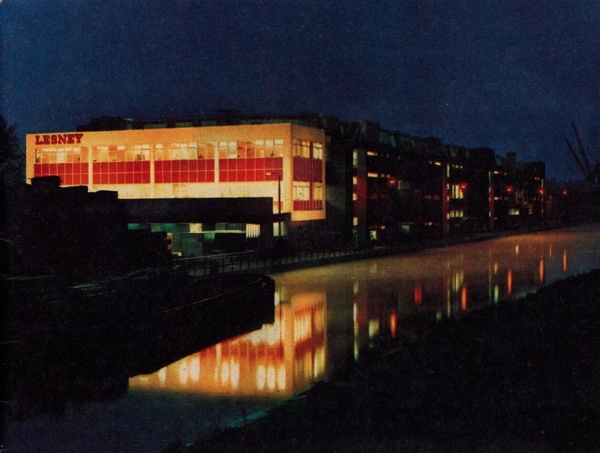 The factory was a landmark on the way from the East End to the M11 before it got extended. I remember it mainly with all the windows broken down, the building completely abandonned. I thought it had been demolished much earlier than 2010, when the banks of the canal became desirable to build new properties. helpful info for all of us. The building demolished in 2010 was the one on the Bridge at Marsh Hill the only bit left after the main factory in LCR was demolished in the 90s after staying empty and derelict for decades. Don’t forget Lesney also had buildings in Eastway too and many of them. It was a huge place of work for Hackney people. The Eastway buildings were only demolished when they started building the Olympic park All the buildings went up to Waterden Road from the BOC company opposite the school. My Nan and Mum both worked here for years and Mum is the blonde lady in the photo above number 6 on the left of the conveyor, head down. I used to get free cars and other stuff and have a few rare items still to this day. I don’t know about being told they can take what they want but think most ladies had loose knickers elastic more like. They did have security and if they did spot checks ladies would chuck the cars out the windows and pick them back up once they had passed the security guards. One bloke told me the canal must be full of old cars. I do not have anything too old but I do have a Lesney from England from the year 1971 I believe. I can not believe it but even though it is bumped as hell and partially broken the suspension still works and it can bounce around. Now days I practically switched solely to matchbox and hot wheels for my 4 year old cause he can not dismantle them whereas he can break apart most of other brands of die cast toy cars. Wrote an article about our experience called Matchbox vs Hot Wheels vs Majorette. He is I believe still way too young for me to buy him SIKU toy cars. 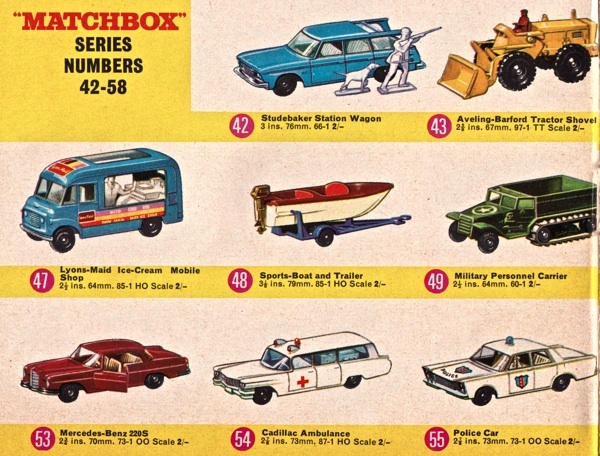 Does anyone know from where I can purchase the following Matchbox models as detailed in this Matchbox Collectors 1966 Collectors’ Guide? The Numbers I am interested in are: 14 – 29 – 54 – 55 – 57 – 59 -63. Collected these all my life and still looking for models. 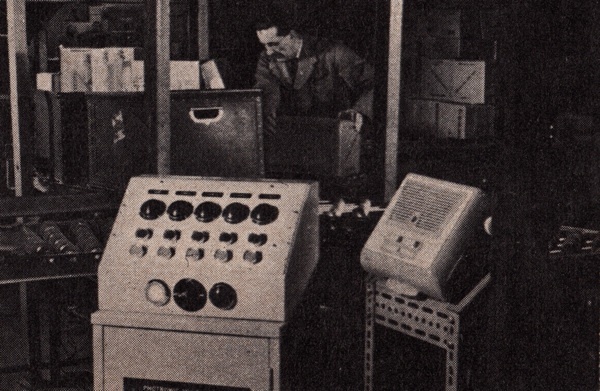 I would lve to hear from anybody who either worked or had relatives working there and have any info/paperwork from those days as I am trying to compile a history of the company to post on my site but sadly fewer each year are left now so getting hard to do. Started in August 1966 aged 13. First model was 75B Ferrari Berlinetta. Still collect till today aged 65. Can’t stop, though sometimes tried to. Now own about 45oo models including YY, Convoys, MajorPacks, Skybusters and so on. Seeing these pictures bring back memories of childhood days. Had several holiday-stays in England, met some friends like Geoff Leake and some more and visited many swapmeets mainly in the southwest region around Bristol and the Cotwolds. Will never miss one of those memories. I’m afraid both of my children are not very interested in Matchbox but ask for their worth only.